Your rugs and carpet are just two of the most valuable investments you have. They enhance the beauty and elegance of your flooring so an extra care is needed to lengthen their life. However, there are unavoidable instances that harm them no matter we do extra care to it. Some contributors are pet urine and dust and bacteria we bring at home. Bacteria are not removed if you just have to use a vacuum cleaner at home. Allergens spread all over the home and might also lead to the sickness of your household members. Pets and shoes that steps over the carpet leave dust and other invisible elements that also leads to odor. Vacuum cleaners may also shed the face of the fibers and may sometimes result in shrinkage. Before we bring them to the carpet cleaning company, there are things we need to consider for us to make sure our carpet and rug receive the utmost care it needs. A thorough inspection is done prior to the main cleaning procedure they need to do. They are able to determine the construction of your rug to see what type of material it is made of. Another purpose of the inspection is to see if there is a possible dye bleeding that may occur during the washing. The main concern of the inspection is to identify the type of cleaning solution to be used based on the fibers of the carpet or rug. He also needs to check the type of material used on the backing surface of the carpet aside from its upper layer. The fibers of the carpet make it difficult to clean if you personally do it at your home. Improper cleaning procedure may leave a permanent damage to the carpet. After determining its construction, the dry soil removal is the next method. This is necessary so the soil will not turn into mud when the carpet gets wet. Soil can also cause premature wear to the fiber and its color may also fade. The cleaner only uses a special tool designed for the fringes. This is also to avoid the rug’s premature wear to preserve its appearance. A spot cleaner method is also done to remove the stains caused by accidentally spilling over the rug. The spill may penetrate deeply into the fibers so a special spot cleaner is used to reach the hidden areas of the rug or carpet. A full immersion cleaning is also recommended so the carpet is scrubbed gently using a special tool which prevents harm to the fiber. This is done while the carpet is filled with water and a cleaning solution. Then, excess water is removed before it is rinsed. Speed drying is also necessary to prevent the carpet from being soaked longer in water. It is hanged in a special drying system specially designed for delicate carpets. This is to make sure that damage and degradation are also avoided. 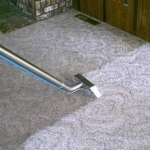 Before you receive your carpet, the cleaner will groom it to ensure it achieved the best result. Ha szeretné teljesen felújítani autója belsejét, akkor kérje kárpittisztítás szolgáltatásunkat. vegye igénybe autó kárpittisztítás szolgáltatásunkat ! Akár egyetlen ülésről van szó,akár a padlókárpitról,akár a teljes belső térről , állunk rendelkezésére! Rituális olvadozás a Tamási termálfürdőben.